A psychrometric chart is a design tool to graph a building's HVAC thermodynamic air conditions and processes. Properties displayed on a chart include dry-bulb temperatures, wet-bulb temperatures, dewpoint temperatures, relative humidity, humidity ratio, specific volume, and enthalpy. 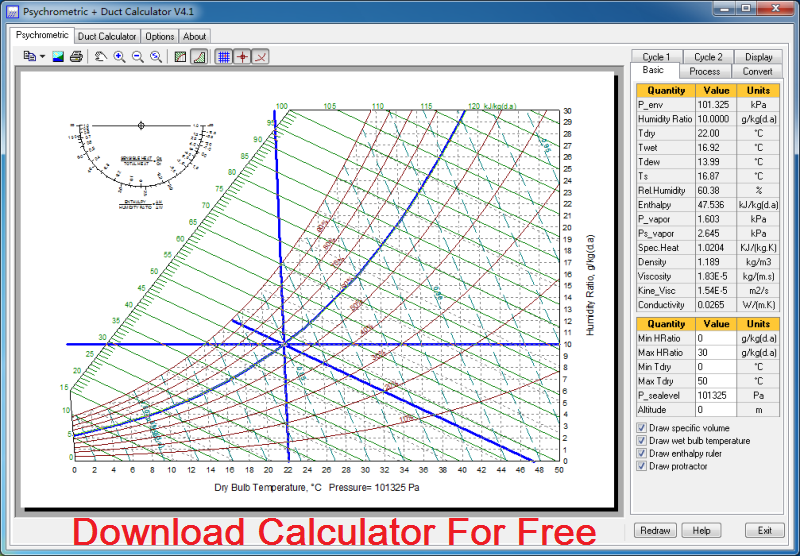 A link is provided to a downloadable software program that allows the user to electronically plot conditions on a psychrometric chart. This program version permits the user to enter state points and graph the air conditioning process, while also calculating additional air properties.